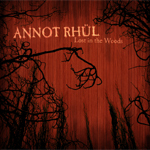 Annot Rhül is Sigurd Lühr Tonna together with his local musician friends in Trondheim, Norway, including some members of SEID. This new CD features his previous release (on a private CD-R only) entitled “Who needs planes or time machines, when there is music and Daydreams”. I reviewed this EP in Issue 33 of Aural Innovations so I will only focus on the 6 new songs, which are quite a different story… The opening track, Lost in the Woods begins with a very Pink Floyd vibe to it and it is a beautiful number. Elegant music. Ghost Children tells a terrible story but again is a nice Floyd like dream and space music. Deadly Nightshade is a 1½ minute instrumental break which leads in to Roses Blue, which has a dark and mysterious feel and thread at times but is also light and beautiful as well with mainly just guitar, keyboards and voice.. The EP ends with the amazing The Dark Lord, which is quite heavy space rock stuff, reminds me of the Apes of Glory but with the more melodic side of SEID thrown in. Great stuff for those who like Pink Floyd and Seid..